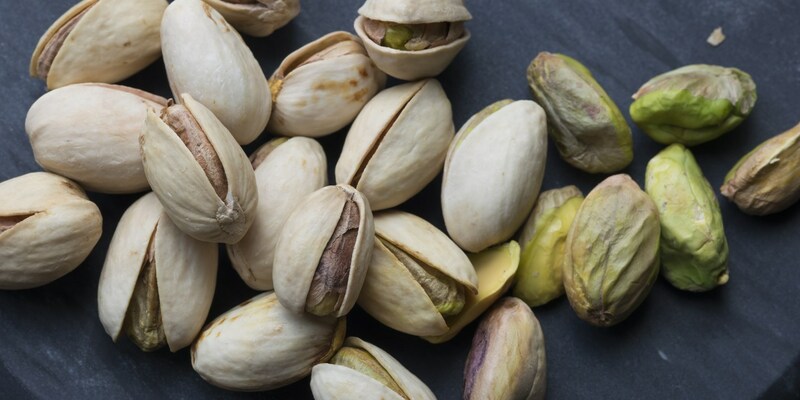 Pistachios are known for their distinctive colour, flavour and hard shell. They are part of the cashew family and, like other nuts, have many of the same health benefits. In a culinary context, they are used in both sweet and savoury dishes. Browse this delicious collection of pistachio recipes for delights like coconut pistachio balls by Vineet Bhatia, Adam Byatt's biscotti with cranberries and pistachios, James Mackenzie's pistachio and raspberry Bakewell tart and a impressive pistachio ice cream with soufflé by Pierre Koffman.